Trading rare and precious coins for over 10 years, CoinBear Collectables has grown to be one of the largest independent collections of local and international coins in Australia. Buying and selling direct to the public, we offer an enormous range of high quality and fine-grade collectable items at very competitive prices. 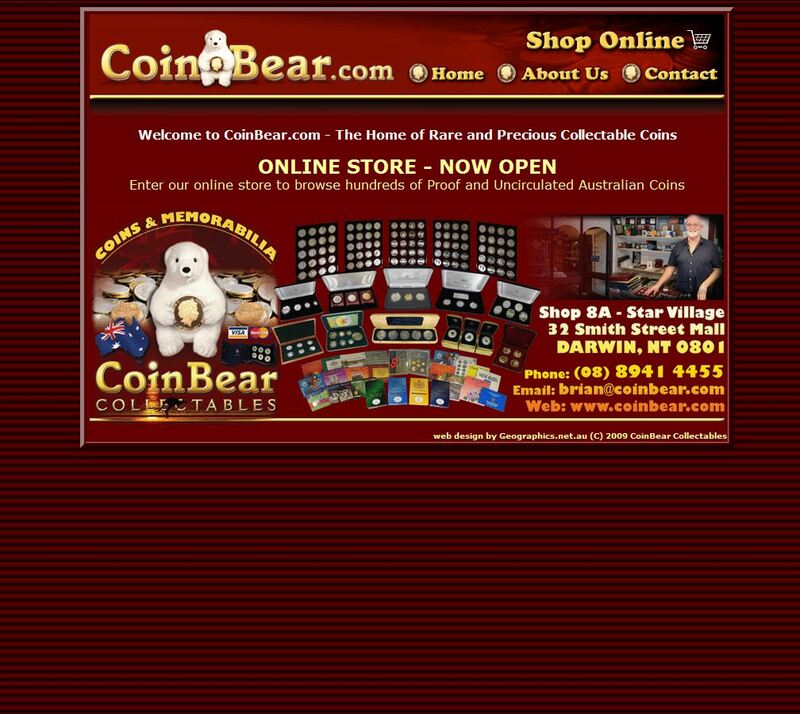 Coin Bear Collectibles is a long established numismatic specialist trading from a well stocked retail unit in Darwin, an e-commerce site and an eBay account. Although mostly dealing in base-metal and paper currency Coin Bear do sell precious metal coins, particularly silver. 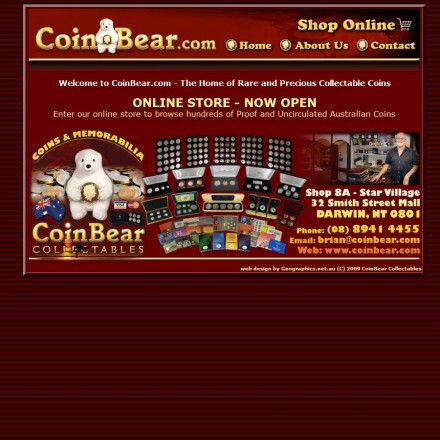 When doing business with Coin Bear Collectables - please say you saw them in Bullion.Directory. Read or add Coin Bear Collectables reviews and ratings using the "reviews" tab above. All Coin Bear Collectables details are believed to be correct at the time of listing. Please report errors here.